Let’s talk about some things that happened in 1968. Pictured: Sir Freddie, in 1969. The Tet Offensive began in the Vietnam War. Robert F. Kennedy is shot. On the plus side, Celine Dion is born. And Dr. Steven Salamon freezes some sperm samples from one of his sheep in liquid nitrogen. This year, researchers at the University of Sydney used those sperm samples to impregnate Merino sheep—50 years after the sperm samples were frozen. And, incredibly, the sperm showed just about the same level of viability as sperm frozen for only 12 months. 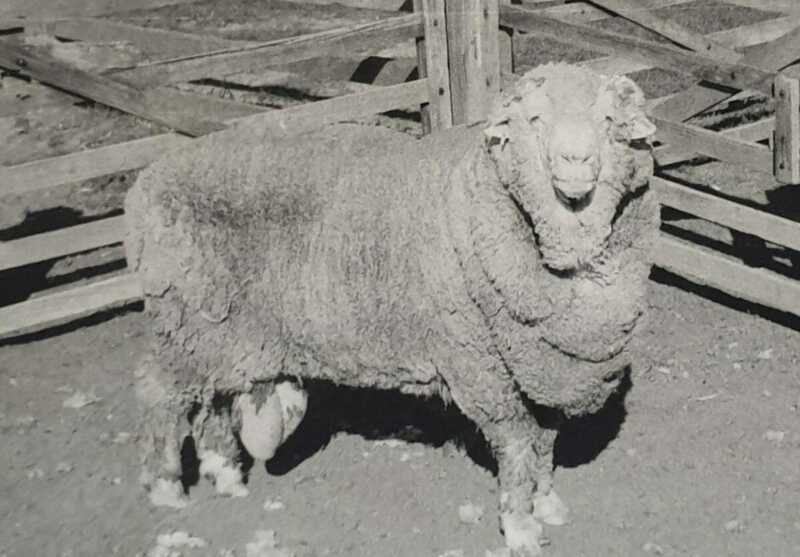 A whopping 34 of 56 inseminated ewes gave birth to lambs from this half-century-old sperm. Things get more interesting, too. Sheep breeding has changed quite a bit over the past half-century, so the lambs sired by the (comparatively) ancient ram actually look different than those fathered by modern-day rams. Specifically: there was a trend back in the 1960s to have very wrinkly skin, with the theory that more skin surface area would equal more wool. It worked, sort of, but difficulties in shearing and a tendency for pests to burrow into the wrinkles made it a short-lived fad. These lambs, born in the past year, are a blast from the past, an Encino Man of sheep. The sperm from the 50-year-old samples had a 61 percent success rate, compared with 59 percent from year-old frozen sperm; statistically, those are just about equal. And now, a ram called “Sir Freddie,” who was born in 1963 and probably died in the early 1970s, has some new offspring—just as wrinkly as him. He’s pictured above.